The Mavic 2 Zoom and Mavic 2 Pro are the most talked about drones from DJI right now. They are beautifully engineered flying robots packed with high-tech features and pilot-friendly controls. Anyone who owns one of these superb camera quadcopters will want to protect it. This guide looks at DJI Mavic 2 cases and backpacks to suit all budgets, needs, and lifestyles. Excellent value, custom cutouts, water-resistant, fits inside larger bags. Dustproof, military grade foam, built-in padlock holes, lifetime warranty. Carrying options, multiuse compartment, double throw latches, double padlocking. Drone carrying cases come in many different shapes, sizes, and designs. 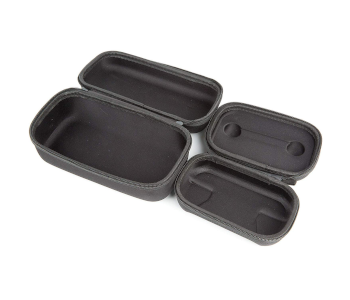 There are small, lightweight, practical options through to multi-functional heavy-duty hard-shell cases. Styles can include sling bags, shoulder bags, travel bags, backpacks, storage boxes, and more. The first tip is to watch out for cheap and tacky. Some bags look smart and seem to have the right design and storage requirements. They might do too, but they could also be second-rate. Do you want a hard shell, soft shell, or a combination of the two? How much space do you need NOW? How much space might you need LATER? Do you want fixed or flexible compartments and pockets? Does your Mavic 2 bag need to be waterproof, or water-resistant? Only you can know what you need to carry and how you travel, so consider your options carefully. Think carefully about what you want from a Mavic 2 bag. You may have to balance some of those wants with needs. For example, you like the style of bag A, but bag B is a more practical option. Or perhaps you want a small bag but should opt for something a little bigger because of your growing kit. Some pilots only want a small soft case with inner padding to carry the quad and its controller. Others may take a ton of stuff with them to shoot in remote locations. This group would fare better with a large size multi-function hard-shell case. 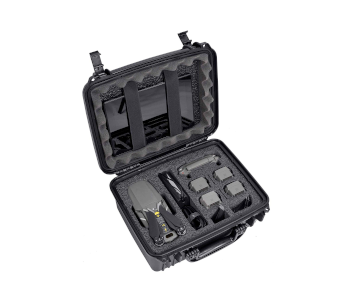 Large cases have space and protection for the drone, its controller, extra batteries, a laptop, cables, and so on. Do you do a lot of walking or travel by car? Also, you may want to invest in a larger bag with extra storage if you’re still collecting accessories. There are several things to consider here. That’s why it’s a good idea to make a list of your wants, needs, and expectations. You can use the list as a simple box-checking exercise. This approach saves buying a bag on impulse only to find out later it’s the wrong fit for your Mavic 2 setup and lifestyle. These products are not random picks. Each quad case here is the result of personal research, the opinions of industry experts, and user reviews. The first three in the guide are Best Budget, Best Value, and then the Top Pick. I’ve listed those under the top three in price order from lowest to high. The reviews are easy-to-read and breakdown each bag’s features along with any pros and cons. The Best Budget pick goes to the Zadii Mavic 2 carrying case. It has a protective hard-shell to shield the quad and accessories from knocks, drops, and scratches. Why Consider the Zadii Hard Carrying Case? This is a hard-shell case for folks on a budget, but don’t let the affordable price tag put you off. The Zadii offers a great compromise and provides excellent value for money. The custom cutouts have room for a decent DJI Mavic 2 kit. There are spaces for the drone, remote controller (RC), four batteries, a car charger, and a charging hub. There are also compartments for a power adapter, power cable, SD memory cards, and other bits. The outside fabric is dust and water-resistant. The Zadii’s compact design makes it convenient for storing inside larger bags or backpacks. You can also choose to carry it by the comfortable non-slip handle or wear it with the shoulder strap. The Zadii Hard Carrying Case is the perfect compromise bag. One downside is that it’s tailormade to store the Mavic 2 and accessories, so there’s no multi-purpose use. It also means there’s no room to grow your kit. For the price, though, few would complain about any of these minor setbacks. For the Best Value pick we have the Club Case Mavic 2 Pro Fly More Combo. It’s also compatible with the DJI Mavic Pro and the DJI Mavic Pro Platinum quadcopters. Why Consider the Waterproof Club Case? The Club Case is dustproof and 100% waterproof—even when submerged—and has a lifetime guarantee. It’s a quality product made in the USA that’s sure to influence some buyers. The case is an excellent choice for anyone who wants a secure carrying solution for their Fly More Combo. There is a practical shoulder bag that comes with the Fly More Kit, but it’s not in the same league as this one. This case is rugged and stands up well to impact. 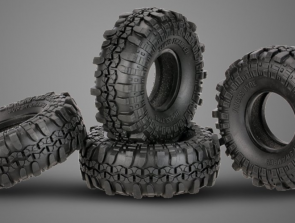 The inside comprises of military grade, closed-cell polyethylene custom-cut foam. And the exterior gives it the armor needed to protect the precious contents from the rigors of travel. There are two padlock holes at the sides for added security. The only negative is that the padlock holes don’t have stainless steel protection. Club Case’s DJI Mavic 2 hard-shell is a purpose-made case with custom cutouts. The interior space cannot accommodate anything other than the Mavic 2 drone and related accessories. That’s ideal unless you need a carrying case with room to grow or for multi-purpose use. 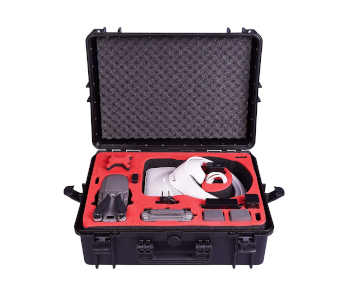 MC-Cases Professional case has room for both the Mavic 2 drone kit and DJI goggles. The headset is large, so it’s handy to have the option to store everything together under the same cover. Why Consider the MC-Cases Pro Case? This hard-shell case for the Mavic 2 drones and DJI goggles is of the highest quality made in Germany. There’s a 100% watertight seal around the lid that keeps the contents dry and free from dust. An automatic pressure release valve protects against the vacuum caused by altitude changes. You can carry the case by its soft grip handle or wear it using the included shoulder strap. The double throw latches keep the lid tight and secure yet are easy to open. And the two padlock holes provide double the security. Inside, there’s a multiuse compartment for miscellaneous items as well as the custom cutouts. The main compartments house the DJI Mavic 2 drone, DJI Goggles, 4 flight batteries, battery charger, and the remote control (RC). The is a purpose-made hard-shell case for the DJI Mavic 2, accessories, and DJI googles. There’s no room to grow or to add items that don’t fit the custom cut interior. Most waterproof hard cases follow this format. It’s an excellent choice if you don’t need space for other parts or multi-functional use. All MC-Cases offer exceptional value, but they’re not cheap. Some pilots like to venture out with a full kit plus some, others prefer to travel as light as possible. This affordable two-case set by Fstop Labs is for the latter group. Note: this is a purpose case for DJI Mavic 2 drones. It does NOT fit the Mavic PRO. Why Consider the F/STOP Case Set? Drone pilots rarely venture out with only a drone kit. Smartphones, tablets, a raincoat, and other personal items are all part of everyday luggage. 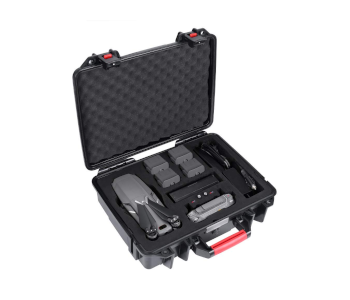 The F/STOP two-case set protects your precious Mavic 2 drone and its transmitter inside a larger bag or backpack. Each case has a drop-protective hard-shell that’s lightweight and water resistant. The sales pages for this product refer to it in the singular form, “case.” It’s not; it’s two separate cases, one for the drone and another for the transmitter. That makes it impractical to carry the gear around by hand, but then that’s not the purpose of these mini-shells. The idea is to protect your Mavic 2 and its transmitter when placed with other stuff in larger bags. There’s no storage space for the charger or any other items though. The RLSOCO Case is a smart storage and carrying solution your DJI Mavic 2 Pro/Zoom. The custom interior has room to accommodate a full Fly More Kit plus some. Why Consider the RLSOCO Mavic 2 Travel Case? 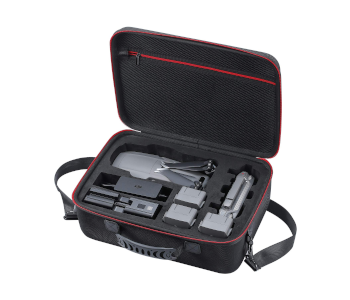 The RLSOCO is a superb travel case tailored to fit the DJI Mavic 2 Pro/Zoom and accessories. The protective 1680D polyester and high-density EVA foam do an excellent job at protecting the contents. The case has three storage sections to provide better organization and easier access. It has a bottom (main compartment), a middle divider, and an upper zipped mesh cover. This case provides decent protection from dust, moisture, scratches, and sudden impact. The storage arrangement gives it additional space for plenty of extras too. Its custom cutouts are for the Mavic 2 drone, controller, and propellers. Other compartments house the 4 batteries, battery adapter, charging hub, and car the charger. 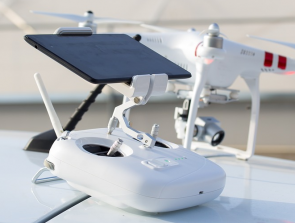 You get to carry a total of 5 flight batteries including the one in the drone. There are two ways to carry the bag. One is by its durable handle, the other is to use the adjustable shoulder strap (included). Another welcome touch is the security holes in the zipper heads. They’re handy for traveling as they let you secure the bag with quality TSA locks. 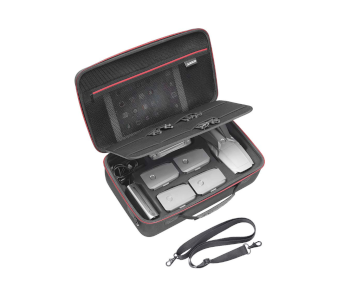 This DJI Mavic 2 Fly More Combo has storage for miscellaneous items. Its main storage area uses custom cutouts, though, so that restricts its use to the drone and its accessories. The bag’s carry handle is a flat design. Some users complain that it’s uncomfortable after holding the case for extended periods. The shoulder strap is also flat and basic and offers nothing in the way of padding. This is the SmaCase DH1000M2 waterproof hard case for the Mavic 2 Pro and Zoom drones. It’s a highly protective storage solution that uses EVA foam cutouts and a sturdy ABS hard shell. Think about the SmaCase DH1000M2 if you travel a lot with your DJI Mavic 2 kit. It has an automatic pressure equalization valve to release air pressure while keeping water out. Other protective qualities are the anti-scratch, anti-crash resistant cover. It has room inside for a full Mavic 2 Fly More Combo Kit. There are custom cutouts for the drone, 4 flight batteries, and the wall charger or car charger. Below the batteries are custom compartments for the battery charging hub and the remote controller (RC). There are even smaller cutouts for the thumb rockers and a couple of SD memory cards. The protection this case offers for such a lightweight product is impressive. Smatree’s waterproof case holds a full Fly More Combo but little else. Another gripe is that it’s a tad tight and restrictive. Still, others say the ultra-compact design is one of its most appealing features. Inateck’s Professional knapsack is a stylish bag for pilots who prefer to carry their kit on the back. It’s a durable soft case design that provides lots of smart protection for your precious Mavic 2 gear. 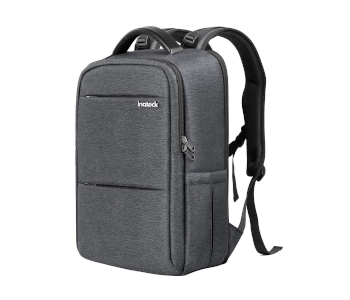 Inateck’s Pro is a fully-functional backpack with none of the restrictions of a custom hard case. It’s worth shortlisting if you don’t need a rugged hard shell for your Mavic 2 kit. Don’t let the fabric build put you off. The design and materials of this product provide plenty of security and protection. The surface material uses a special nylon that’s water, scratch, abrasion, and deformation resistant. The storage room easily accommodates a DJI Mavic 2 Pro/Zoom kit. 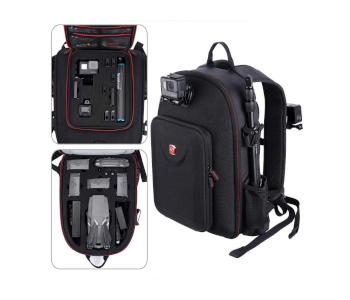 You could also use the space inside to house DSLR camera equipment and a laptop up to 15.6”. All the main inner dividers are switchable, and that makes this an excellent multi-functional case. You can just as easily use it for commuting and light travel as well as drone filming expeditions. Another nice touch is the external features of the bag including its high-quality YKK zippers. There’s a soft, breathable microfiber panel at the back, and thick, wide shoulder straps at the front for added comfort. 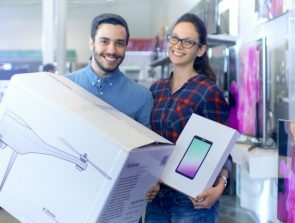 It also sports a height-adjustable breast belt, a hand grip, and a luggage strap that slides over the handles of larger cases. The range of quality materials used adds to the bags overall appeal and well-thought-out design. There are lots of smaller pockets to explore and exploit in the bag’s interior. The exterior doesn’t disappoint either with its zippered pocket, hidden compartment, and tripod band. This bag offers a lot of storage and protection. 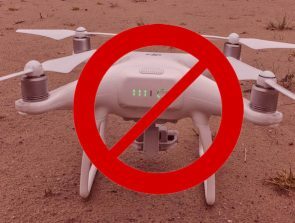 Even so, it can’t safeguard your Mavic 2 kit as well as a hard-shell. Not everyone needs the rugged fortification of a rigid case though. The Inateck Pro does use waterproof nylon, but it can still only offer water-resistant protection. It does come with a rain cover, and that does a great job of keeping the bag dry when it’s wet outside. Last on the shortlist of Mavic 2 carrying cases is the Smatree SmaCase DP1800M2. It’s another high-quality, multifunctional backpack. This one has custom cutouts for a Mavic 2 kit and a GoPro kit. The SmaCase DP1800M2 by Smatree is different from other options on this page. It’s unique in that it provides customized compartments for two separate products. The primary storage area has tailored high-density EVA cutouts for the Mavic 2 kit. There are spaces for the drone, 4 batteries, battery chargers, charging hub, controller, SD cards, and rockers. The lid has snug sleeve pockets for both a tablet and a laptop up to 13 inches. A convenient Velcro hook-and-loop binding strap keeps the pockets tight to the cover. At the front of the backpack is a smaller second storage area with a two-way zipper. This compartment also has EVA foam cutouts to accommodate a GoPro action camera kit. It has spaces for one GoPro HERO 6/5/4/3+/3 camera, 6 batteries, a selfie stick, and 2 SD memory cards. There are mesh lid compartments too for storing cables and various other accessories. It’s possible to attach a GoPro action camera to the outside of the bag using the GoPro slider mount. That’s useful if you want to film while on the go. There are options to fix the camera to the front carrying strap or at the bag’s rear if you want to shoot from behind. This backpack uses durable nylon that has anti-collision, anti-scratch, and water-resistant properties. It also comes with a waterproof cover to protect the valuable contents from rain and splashes. But it’s still a soft case despite its durable build and sturdy materials. That’s probably fine unless you’re breaking waves, jumping out of planes, or climbing up rock faces, etc. The backpack has restricted—Mavic 2/GoPro—use despite its multi-functional appeal. The fixed interior cutouts prevent users from carrying other stuff in the main storage compartments. Should you Get DJI Care Refresh Plus?